Has completely stopped working for me. Now totally useless. I can’t get more than 10 to 15 emails in any account I have. Just got updated and still doesn’t work. Pathetic Google. That was one of my favorite features of Gmail and with this new software that we were required to switch to, travel is no longer being bundled. Is there a way to add it back in? All of a sudden the attachments are "comfortably" shown in the inbox! After years of gmail getting slower, harder to use, harder to read, I finally, finally, finally made the switch to a better email app. I use email daily like anyone else for work. I hate this app so much. I used inbox until the bitter end, but have spent the last couple weeks trying to like the Gmail app. Every day I discover something new that annoys me. Like today I wanted to look up information about an upcoming trip. Inbox would have had it all in one place right where I needed it. I wish I could delete the entire promotions in box with a single click. I love that in the inbox I could pin the random promotions that I wanted to save and easily delete the rest. I like a clean inbox and HATE the ads (but accept that they may be necessary for a free product). Google had two products - one was clearly superior and they got rid of it. I’m looking for an alternative! Быстрое и качественное ПО. Но почему нет настроек смахивания? Пришло письмо, хочешь просто смахнуть чтобы оно получило отметку «прочитано» а нет такой функции. Только или в архив или удалить. А нужна возможность пометить «прочитано» и переслать! Does not always open and when it does it either freezes or closes app on its own. I love the face lift, it's bright and welcoming. Works fast and efficiently and easy to maneuver and swap accounts. Great for business, I have everything all in one place! Used the inbox app until it was discontinued. Had that app set up exactly how I wanted it. Then inbox was discontinued and I tried to go back to the gmail app. Nothing sorted the same way, I was now getting notifications on every email from every account, we’re talking hundreds per day. Emails didn’t sort into nice categories automatically like they did in inbox. 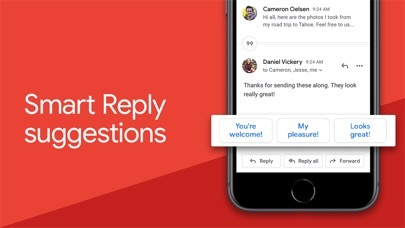 Google said that gmail had many of the same popular features as inbox. This was not true in my case. Can’t be any more disappointed in google and the gmail app. Switched to a new, better app. Highly recommend you do the same. I do not like the new google. I want my regular gmail back !!!!! I don’t understand how simple things like “mark all read” is so frustratingly hard and hidden away? I like the app, use it every day for work. I have a couple of issues with it though. Could you make it where we can delete an individual message on any given thread? Same way you could on the computer version, please. Also, please add an option to make pictures smaller size; the pictures you attach now to an email are huge when you view from a computer. It would also be nice if I could edit my email signature, somewhat similar to my computer signature. Right now it’s too “plain”. It just doesn’t live up to my expectations. Inbox notified me of important emails automatically. It was much cleaner and ad free by the way. I dreaded switching. I didn’t even down gmail till my phone forced me to. Why doesn’t it seem possible to copy an address from within an email and paste it elsewhere, such as an event in calendar, without also copying all the extraneous google-mapping text with it? That extra text actually prevents me from using maps as intended. It seems a very small thing to address or for which google mail could provide two options. I keep getting notifications for promotions label. I wish I could manage notifications for label like INBOX does. It’s nice and refreshing the look and feel of the app, but it’s missing a very important feature that Inbox had. Inbox has an option where an indicator which notified me if my email had been recorded and this app doesn’t which is a shame. It would also be much appreciated if it had a dark mode as well. Inbox by Google was the best! I miss it a lot. Everything sort and at hand. Not ads in my email. What a crap is this app! It doesn’t deserve even 1 star. I am moving to another mail app!!! I do not like this new GMAIL version. For the life of me I do not understand why so many companies update their apps and get rid of some of the Best features. With The Inbox 📨 app you could group messages and they would all automatically go to one file and you can access and delete the groups very easily. Now when I open this app the messages are no longer grouped and I have to do extra steps to find the emails where as before I could just go to the Group File and find the respective email(s). 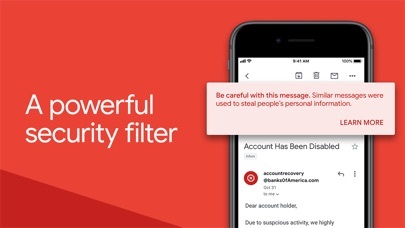 I had to get a new iPhone because mine got a virus, and when I downloaded the new gmail app, I could no longer switch easily between my two gmail accounts. One account I use to absorb “spam” mail and the other is a business account. I need notifications on the business account but don’t want them on the “spam” account because I literally get hundreds of messages a day. I can’t figure out with this new upgrade how to get notified for one and not the other! So I just turned off the spam account. Now when I need to get into it (which I do, occasionally) I have to jump through hoops just to open it! I’m not tech savvy... maybe it’s just me... but the old version was so easy even I could figure out how to use it. I miss the ability to tap an icon and empty a folder without having to swipe/tap every individual email to delete it. 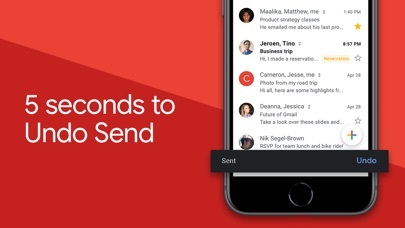 That was the feature that I used most in Inbox and why I resisted moving to the Gmail app. I am sincerely tempted to remove this app from my phone and just use the web version but I need access on my phone. I guess it’s Hobson’s choice here, eh? I dislike this new layout for managing multiple accounts. I feel like I have to play seek and find; it us so irritating, it usually drives me to my PC. I miss being able to see subcategories, scroll to review, and swipe to delete all. Definitely a step in the wrong direction for UX, Google. I miss inbox... It was so much more efficient and intuitive. Still missing features from Inbox : Purchases Financial Annoying little ads in all folders - bring back Inbox! Google's been finally getting consistent with the design language across all apps and I love it. And the features entering Gmail make it easy to be without Inbox. Google has sent me back to email hell and my time management of personal emails has exploded since they killed off Inbox. Promised the same features but its a completely different function that I am used to with no clear way how to increase my productivity using the limited tools provided. 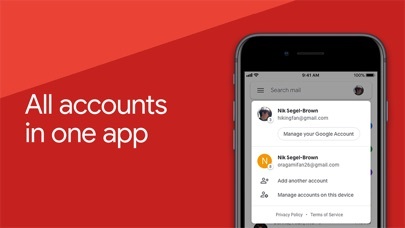 With the mandatory switch back to Gmail, I thought at the very least the app would have merged some of the functionality and efficiency of Inbox. Instead I am forced to use the Gmail of old. I have to search through all of my emails to find my financials as well as my trips. This is not a forward move. Extremely backward. Was a step backwards to the old gmail. I liked the Done feature, now it’s archive feature. Doesn’t work very well. This app is the worst. It doesn’t bunch anything like subscriptions and such so to get to actual mail is annoying. Inbox was WAY better. Let’s just start with the fact that google literally forces you to stop using the inbox app - which had absolutely nothing wrong with it - only to use gmail again. This new design is so flawed, clunky, and inefficient compared to inbox. I can never tell when I get actually important emails because they go into the “promotions” folder or the “updates” folder. This also leads me to forget to check my email because I have no little red number on the app icon unless I get emails that directly go into my inbox. This now trickles down to me having to sort through 50+ emails at a time. Additionally, there’s a folder titled “all inboxes” but it’s really not all of your inboxes (promotions and updates included) and just your direct inbox mail. All in all this new design just makes my life way more difficult. JUST BRING BACK INBOX. Why doesn't All inboxes show ALL inboxes? 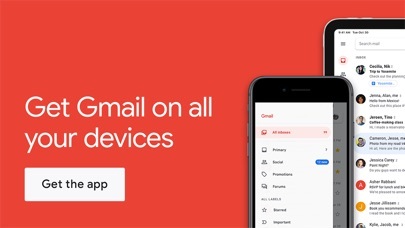 I’m all for a consolidation of my email between Gmail and Yahoo mail but although this app works on my phone and iPad, it doesn’t do so on my watch. Therefore I still have to open the generic Mail app on my watch to see email from both sources. Waste of time currently. Love the new resdesign but I miss the feature on Inbox that would allow us to change the email to a Reminder so it would show up on our Google Calendars. Given that we can add emails as Tasks on desktop, please give us this function on mobile as well.